Afghanistan's Mohammad Nabi has emerged as a dependable finger spinner, who relies on his natural game. The 34-year-old off-spinner has played an important role in Sunrisers Hyderabad last two wins. At a time when the entire cricket world is enamoured by the wrist-spinners, Afghanistan's Mohammad Nabi has emerged as a dependable finger spinner, who relies on his natural game. 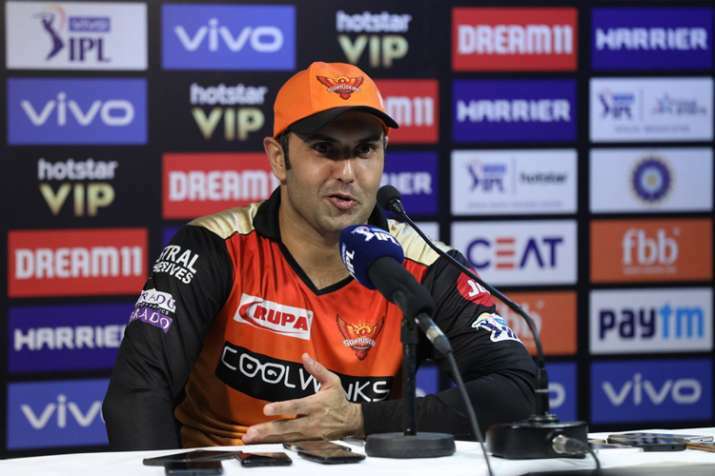 The 34-year-old off-spinner has played an important role in Sunrisers Hyderabad last two wins -- taking four wickets against Royal Challengers Bangalore last week and two scalps against Delhi Capitals here last night. "We have been playing together for the last three years for the team, so we wait for our chance and give more than 100 per cent. The important thing is to read the batsmen, what is he doing. If he is looking to score runs then you can't bowl the same ball again. It comes automatic with experience," he said.